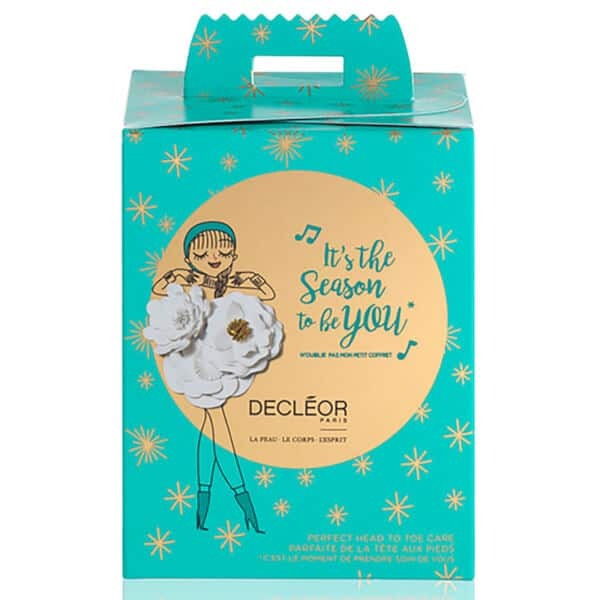 Decleor It’s The Season To Be You 4 Piece Body Gift Set. Reward your skin and body with the DECLÉOR It’s The Season To Be You – 2018. 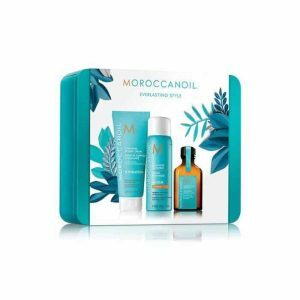 The limited edition head-to-toe care kit that combines four travel-sized cult favourites for cleansing, exfoliating and hydrating from the Parisian skincare brand and masters of essentials oils. A luxurious scrub to leave skin feeling silky soft. Its formula contains grapefruit essential oil for an invigorating fragrance, and a combination of pearl sugar, argan shell and fruit acids to ensure skin is full of moisture. Easy to apply, this indulgent gel turns into oil when massaging, and changes into to a milky liquid with water contact for quick rinsing. 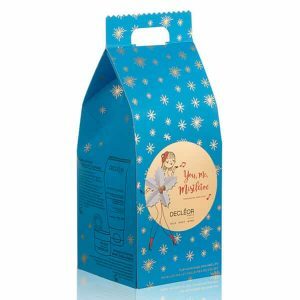 Exfoliate skin by removing the build up of dead cells to give you a brighter complexion. A light cream with delicate floral notes, enriched with fragrant Magnolia, that provides essential care for hands and nails. Magnolia Essential Oil helps protect, soothe and reinforce the skin leaving it looking brighter and more luminous. A toning bath and shower gel, enriched with Essential Oils such as Lemon and Lavender, tonifies, helps remove impurities, and awakens the skin leaving you feeling refreshed. Formulated with essential oils of lemon, lavender and seaweed extract, it gently washes away impurities whilst toning and invigorating your skin and combatting the drying effects of hard water for a truly awakening experience. Suitable for all skin types, this vibrant shower gel will make the perfect pick-me-up, as it effectively uplifts both your skin and your senses. A lightweight two-in-one moisturiser that envelops skin in a velvety cocoon of hydration and protection. Melting effortlessly into skin, the nurturing formula softens and rehydrates while encouraging improved elasticity and firmness. Deeply nourishing and revitalising, the body lotion is enriched with a cocktail of essential oils, including regenerative Frankincense, nutritious Coconut and nourishing Meadowfoam. Skin is left feeling soft, silky and pampered.